Tree Removal is something that should be left to the professionals. Here at Southern Maryland Fellers Tree Service, we have all the right equipment and man power to remove any tree of any size. Our certified arborists have years of experience and are prepared to help our neighbors here in Calvert County. If you have been in need of a reliable and professional tree removal service, contact us today for your free estimate! Dead or diseased trees typically decaying from the inside out, making it extremely unstable and unpredictable. If you have been wanting to remove these types of trees, contact the professionals to remove it before it collapse without warning. 99.9% of the time not everyone has the necessary protective and proper equipment needed to remove trees and weak limbs. 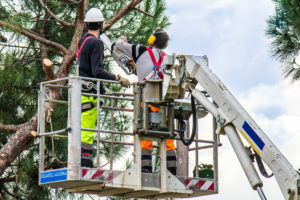 Our team of professionals are adequately trained to use all the right machinery; cranes, chainsaws, and wood chippers, to remove any and all trees. Without the right equipment and expertise homeowners expose themselves to unnecessary danger. When handling large trees, you need to have the right equipment and you need to know how to properly maneuver it. Once the tree begins to fall, you really have no control over where it goes. It happens more times than you think, that the tree may not fall in the direction that you thought it would. Unfortunately, poor judgment could result in the tree falling and causing greater harm to your surroundings. When our workers are fully suited and the machinery is ready to be put to work, our team will systematically dislimb the tree beginning with the crown and working our way downward. If we use heavy machinery or just climb up the tree, we will eliminate the tree limb by limb, lowering each branch carefully to the ground where our team will further reduce it. Throughout this process, our ground-service crew will always keep the area clean of tree limbs and other clutter to ensure safety and proper disposal. When the tree has been cut down to simply the stump, you can additionally opt to have the stump dug up or ground. If you would like to have a proper tree assessment, contact our experts today. We will help you determine if any of your trees are damaged or diseased beyond repair. In this case, tree removal or tree cutting may be required. 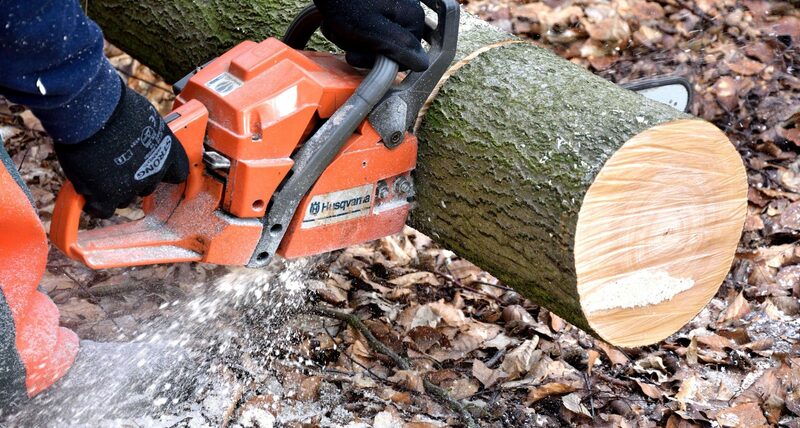 A professional arborist can work with you to safely and efficiently remove your trees. Many tree removals are complex and mistakes are costly, which is why we highly recommend hiring a tree removal service that you can trust. Call Southern Maryland Fellers Tree Service – Calvert County Today. We are a local business of arborists and tree care specialists. Our certified experts are the best in the industry. We deal with each customer like it was really a member of the family. As a locally operated company we are privileged to be recognized as the #1 chosen tree care contractor, catering to all of Southern Maryland. We are honored and dedicated to provide a one hundred percent client satisfaction promise coupled with affordable prices. Call us today for a free estimate! Amazing company. This company works hard and does the job right. I give this company 5 stars. Easy company to work with! They do great tree removal service at affordable prices! 5 star tree removal company!!! We needed their help and they came to our rescue! We will be recommending southern maryland fellers tree service! Awesome company. Scheduling was easy, and workers arrived promptly- ready to work! Thanks for the great service. Best Tree Removal Company in Calvert County! They are Fast & Reliable. 5 Stars! Affordable prices and great service! I highly recommend this company! These guys are great! They showed up on time, performed their work quickly, and gave us a great deal. I definitely recommend them!